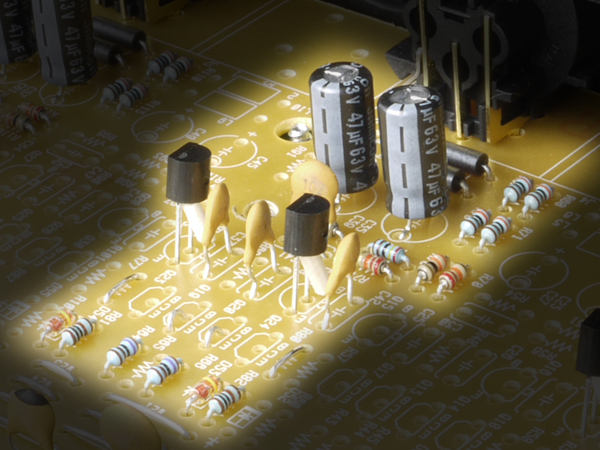 TASCAM spent months testing parts and circuitry to develop what are the now the highly-regarded HDDA mic-preamps. The 4 XLR inputs are balanced microphone pre-amplifier circuits comprised of carefully selected components optimizing sound quality. The US-1200 is an optimally designed tool to clearly translate expressive performances to a DAW. The US-1200 is loaded with 4 XLR connectors supplying +48V phantom power and 2 TRS balanced inputs. The balanced low-noise connections are ideal for line connection equipment e.g. keyboards, drums, etc. In addition, INPUTs 5 & 6 also support high-impedance connection for instrument (guitar/bass) recording. 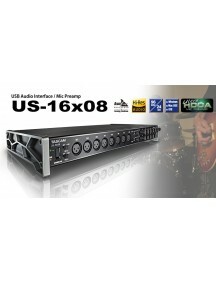 The wealth of inputs makes the unit ideal for band recording. Utilize the DSP Mixer for Low-latency monitoring. Control the monitor balance easily with the MON MIX knob. With increasing HDD capacity and ever-faster PCs, high-resolution formats are being used more frequently. Record at 24Bit / 96kHz resolution and guarantee your music reaches it's highest potential. 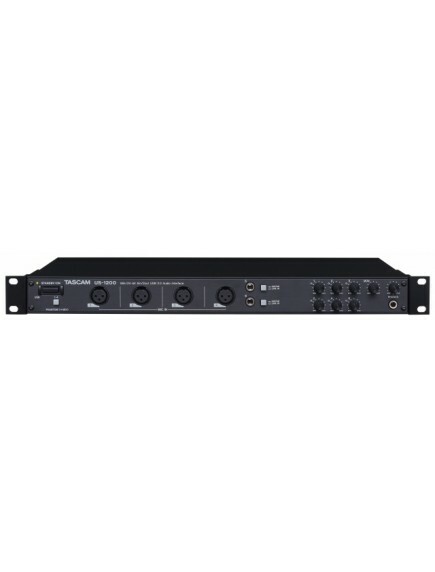 The built-in DSP mixer can be used for various purposes simply by switching modes. 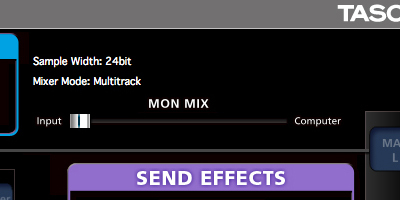 Multi-track mode facilitates music production. The input sound and monitor mix can be adjusted separately, fine-tuning the balance between recording and playback volumes optimally. Monaural monitoring is also a possibility within the mixer operation. 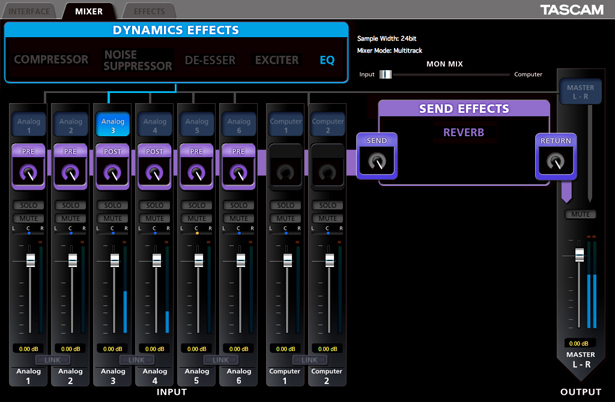 Stereo-mix mode is convenient for internet streaming, live broadcasts or video editing. It is possible to deliver not only input sound but also sound from the PC back to the PC by mixing it inside the US-1200. Applications such as adding announcements while playing background music with the PC and then sending the accumulated track back to the PC. 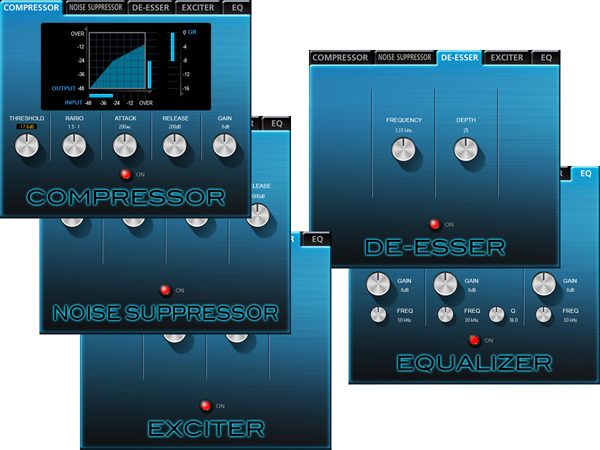 The DSP effects consist of reverb, a compressor and EQ to aid in monitoring your sound. The input effects can be selected from compressor or 3-band EQ. Input effects can use various recording. For example, while recording vocals you can boost your high-frequency range with the 3-band EQ. 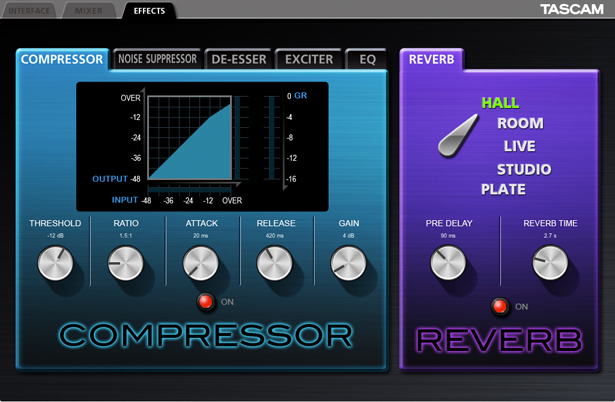 Also, the compressor effect is very convenient at recording especially for bass guitar, vocal and drums. 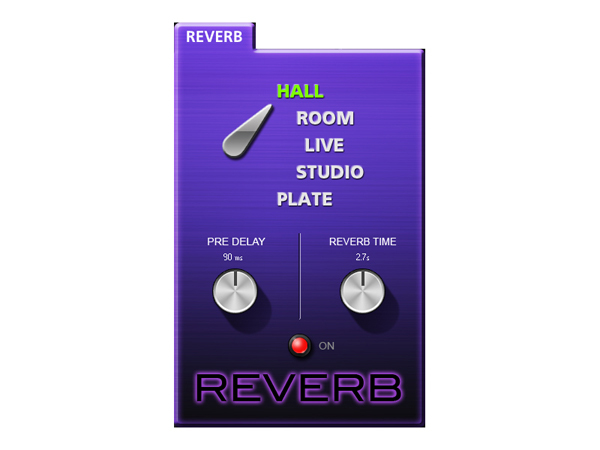 Reverb is available for your send effects. When recording, dry vocals can sound impassionate but by applying light reverb, sing gracefully and in the end, achieve a better result.